For best results, prepare the cilantro-lime sauce the night before so the flavors have a chance to thoroughly blend. You can also prepare the fajita seasoning in larger batches and store in an airtight container for later use. 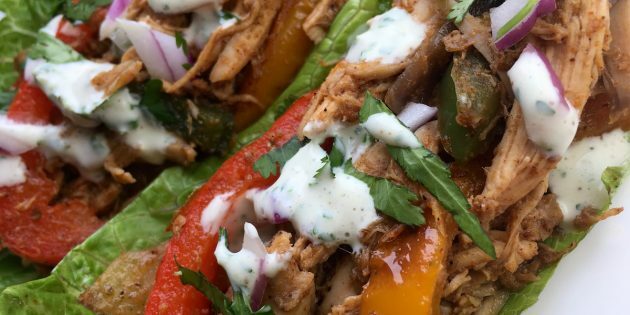 Planning ahead will save you even more time on those busy nights you want to get dinner on the table as quickly as possible. Remove skillet from heat and stir in the cilantro, green onions, and fresh lime juice. 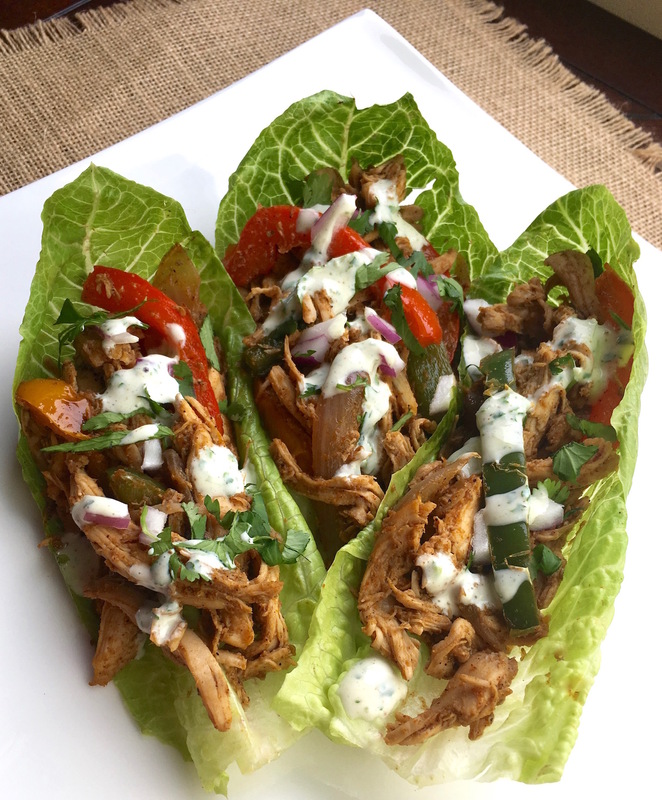 To serve, spoon mixture onto individual Romaine lettuce leaves and top with a drizzle of cilantro-lime sauce. If you click on any of the links on this blog we will receive a small stipend!! Thank you for keeping me blogging!! One of my most used items in the kitchen is my skillet! Having a good one that will last a long time is really important to me. I have found that the Le Creuset Skillet has been my go to skillet for most of my dishes, makes for an easier cleanup than a regular cast iron skillet too. Its a little on the expensive side but completely worth the initial investment because it will last you a life time!! Click on the picture or link and it will pop you over so you can check it out!! To mix all the ingredients for this recipe I used my Pyrex mixing bowls. The ones I have linked here come in three different sizes for all different applications. 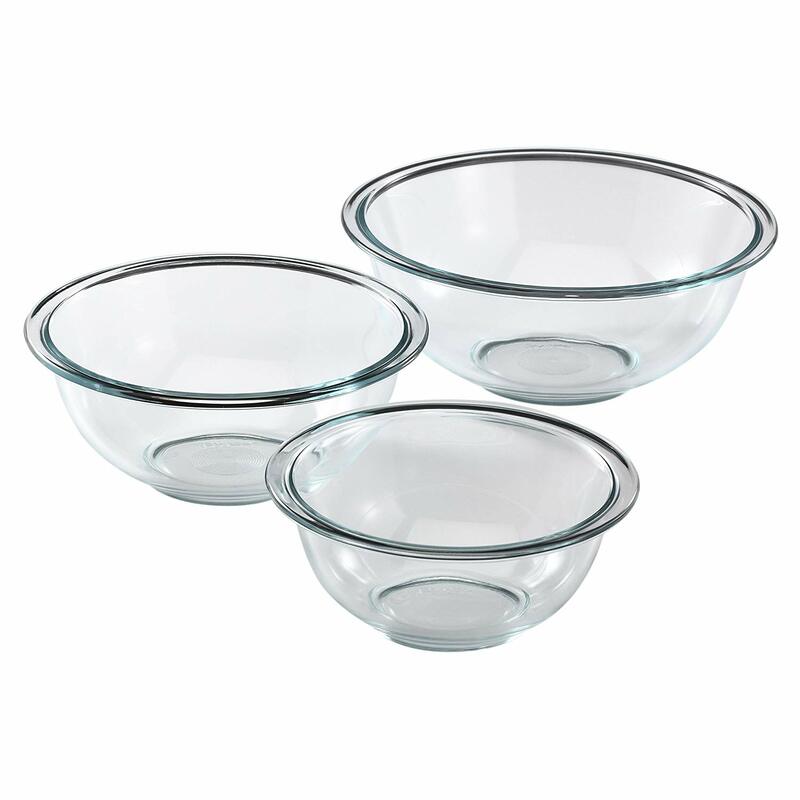 They are non reactive bowls which are microwave, dishwasher, and freezer safe. Perfect for all your mixing needs!! Click on the link and it will pop you over to where you can get some for your kitchen! !